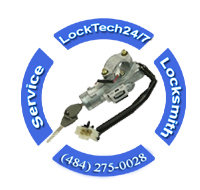 LockTech24/7 Locksmith offers a complete automotive locksmith services such as car lockout, car key made on-site, and ignition lock repair. A very large part of our population in Allentown, Pennsylvania, travels on vehicles. And It’s very frustrating If our cars or trucks stop working from time to time, due to any certain locksmith issue. Even a minor problem as lockout can take the toll and ruin half of your day, if you don’t call the right locksmith. You cannot stop these incidents from happening completely. But of course, you can get the right assistance at the right time. Choose your locksmith wisely, and choose LockTech24/7 as your professional locksmith service provider in Allentown PA.
We, at LockTech24/7, offer a complete mobile locksmith services rapidly to your place of choice. This is true our automotive locksmith services include car lock out and broken key removal. But we also provide car key made on site for old and late model vehicles as well as transponder chip keys for new vehicles. If you’ve lost your last car key, we’re able to fresh cut or laser cut a new key to your car. Our objective is to provide the automotive locksmith service that you demand, to get you back behind the wheel, as fast as possible. We usually have 20 minutes response time for the majority of Allentown’s metropolitan area. If you need a quick emergency service, please call us. And if you would like to set up scheduled appointment, you’re welcome to call us or send us an email via our contact form. Our Allentown mobile locksmiths arrive prepared with all the tools and experience required to perform your job of choice on your truck, van, or car. 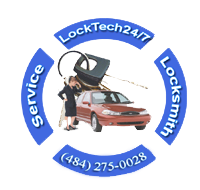 LockTech24/7 revolutionize the locksmith industry by offering low and flat prices over the phone coupled with a great service. We strive to impress and inspire our customers to review and refer us. Honesty, respect, and transparency of prices is our commitment to you. Give us a chance to earn your business and your respect to become your trusted Allentown PA Local Locksmith. Our 24 hour locksmiths are available in order to help when you need lockout service, all year long, including weekends and holidays. Whether you need to replace your car keys, you are lock yourself out, LockTech24/7 has a solution for you. Whatever locksmith service you need for your car, one call to LockTech24/7, and will get you back on your way, as quickly as possible. We can replace and program keys with transponder chip, or program a key fob that fits your vehicle. We keep many type of keys in stock to be able to serve your needs, at the very first time. In the event if we don’t carry your key type, we have the resources to get the key you need in a timely fashion. Contact us today, and let our experienced locksmiths do the rest. You will find our competitive prices and great customer service is the best in Allentown, instead of heading over to a dealership. With this in mind, we also provide ignition lock repair service. Our 24/7 emergency automotive locksmiths are best in speed, and best in town. Have you been locked out of your car or your truck? 24/7 automotive lockout services in Lehigh Valley, Pennsylvania and response time of 20 minutes available soon after you call us. When the last time you lock yourself out of your car or your truck? We offers 24/7 automotive lockout services in the Lehigh Valley, whether you are in Allentown, Bethlehem, or Easton. Our locksmiths are available to unlock your vehicle at anytime you need us most. So if you lock yourself out of your vehicle at 2 a.m, we are ready to get you back on the road soon after you call (484) 275-0028. Have you broke your car key? Car Key Service in Allentown is our daily routine. 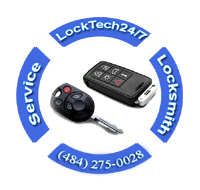 We are the leading car key locksmiths in Allentown. Our locksmith providing a complete car key services for most make and model of of cars. Clients from all over the Lehigh Valley, Pennsylvania, are benefit from our wide range of car keys service. We offer locks ignition key service, including programming transponder chip keys, and we can give you locksmith solutions that will end your ignition key problems once and for all. Are you not able to turn the ignition lock to ON position? The ignition lock, located on the steering column or on the dashboard. It takes the power from the battery and directs it to all the accessories and electrical components of your car. When you turn the ignition key, it also transfers the power to the starter. The lock cylinder in the ignition can fail. Drivers knows the lock cylinder fails if they find they cannot insert the key into the ignition, or the key refuses to turn. In these cases, we can repair or replace the lock cylinder. We helping you avoid an extra cost for towing your car to mechanic or dealership, or even an extra cost on labor.